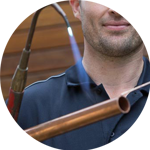 We have a team of highly skilled and efficient plumbers in Covent Garden. For over a decade, our signature yellow vans have been patrolling the area and providing people with an exceptional plumbing service. Since 2005, we have been successfully handling a wide rafter of plumbing tasks within Covent Garden. Our level of knowledge and expertise means any job will be completed with precision and care, to ensure a quality and long-lasting finish. 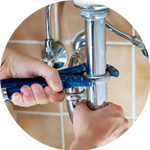 Your plumber in Covent Garden will be able to assist with anything that relates to; Replacements, Unblocking, Installations and Repairs. Covent Garden is a district within Westminster, Greater London. The area is famous for its shopping and market square. 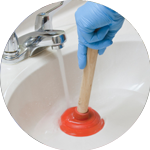 We don’t just offer plumbing services here at The Handy Squad. We also have a Handyman in Covent Garden, who will be able to help with any generalised trade tasks such as Flat Pack Assembly and Tiling. For anything that relates to electrical tasks, we have electricians in Covent Garden. 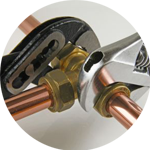 They will be able to take care of any intricate and technical job with precision and care. Our electricians are skilled at Fault Finding and Repairs as well as Electrical Installation Condition Reports. To book your handyman, carpenter, decorator, electrician or plumber in Covent Garden, fill out our online booking form.